Airline to offer four new weekly flights to Durban as frequency to Johannesburg increases from 10 to 14 per week effective from 17 December 2015. 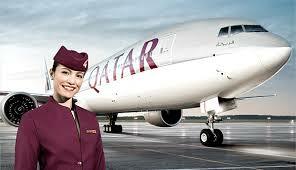 Doha-based carrier to operate daily flights to Cape Town from 1 October 2015. Effective from 17th December 2015, the airline will launch four new weekly flights to Durban via Johannesburg bringing the total frequency to Johannesburg up from 10 weekly flights to a double-daily service. From 1st October 2015, Qatar Airways will be operating daily flights to Cape Town ahead of the busy 2015/16 winter travel season, an increase from five weekly flights this winter. Durban will be Qatar Airways’ third route to South Africa following Johannesburg and Cape Town, both of which started in January 2005. All three routes will be operated with a Boeing 787 Dreamliner. Durban is the second most important manufacturing hub in South Africa after Johannesburg with the presence of a number of major multi-national companies and is also famous for being the busiest port in the African continent. It is also seen as one of the main centres of tourism because of the city’s warm subtropical climate and extensive beaches and is an exciting holiday destination thanks to its luxury resorts and adventure sports opportunities. The new Durban service and additional flights to South Africa will offer business and leisure passengers excellent connections to popular routes in Europe and the Far East such as London, Paris, Manchester, Frankfurt, Madrid, Beijing, Bangkok, Jakarta, Hong Kong and more. Qatar Airways Group Chief Executive, His Excellency Mr. Akbar Al Baker said the airline’s new home at the state-of-the-art Hamad International Airport in Doha will offer rapid and convenient connections for passengers from South Africa. “At Qatar Airways we strive to provide our passengers with the best of service levels on ground and on board our modern fleet. We also provide our passengers with a strong global network of business and leisure destinations, and the city of Durban will be a welcome new addition to our extensive route map. Africa is key to Qatar Airways’ global network expansion strategy and the airline currently operates 140 flights per week to 19 African gateways. Since 2011 the airline has added the following African destinations to its global route network: Entebbe (Uganda); Kigali (Rwanda); Kilimanjaro (Tanzania); Maputo (Mozambique); Addis Ababa (Ethiopia); Djibouti International Airport (Djibouti) and Asmara (Eritrea). Qatar Airways’ Boeing 787 Dreamliner will be deployed on the new Durban route which offers passengers 254 seats across its Business and Economy Class, with its seats in Business Class reclining to 180-degree fully flat beds. The airline’s 787s are the world’s first fully connected Dreamliners with wireless facilities enabling all passengers to remain in touch with friends and colleagues on the ground through the internet or SMS mobile texting. The 787 Dreamliners complement the ultra-luxurious customer service and experience Qatar Airways delivers to its passengers.